Due to our automated system, we recommend against pausing your campaign as this can have a negative effect on your campaign’s performance. 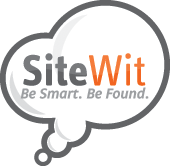 Should any emergencies arise, please do not hesitate to contact support@sitewit.com for the most favorable recommendations on how to handle your campaign’s situation. If you wish to avoid further billing, you can simply cancel the campaign. We will save all the content of the campaign if you wish to reactivate it at a later time.